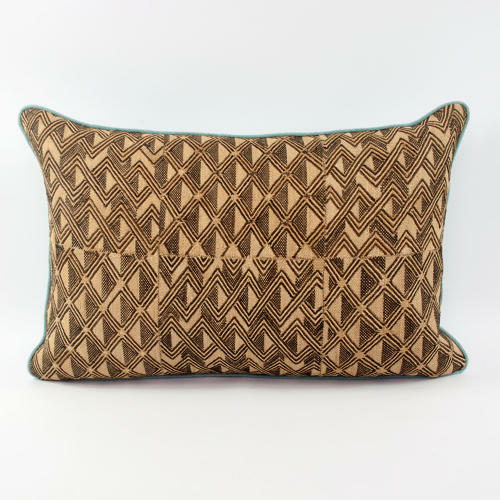 This striking flat-weave Kuba cloth has been piped and backed with a lovely vegetable dyed duck egg hemp. The duck egg colour compliments the Kuba raphia work beautifully. There is a zip fastener and feather pad.